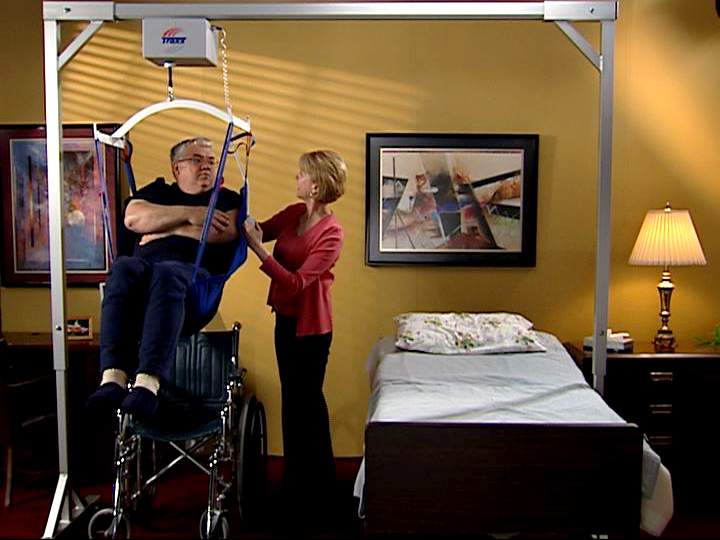 In home health care environments, the Traxx Mobility Systems Titan 500 Overhead Patient Lift improves the quality of life for individuals with limited mobility and their caregivers. Due to the systems unique design, caregivers can lift and transfer their loved ones from bed to wheelchair and back again with ease, comfort and security without the physical strains of manual lifting. When it comes to individual care within the household, a bedroom is most often chosen as the primary care setting. The average room size limits the amount of space needed to properly maneuver the standard manual floor lift. 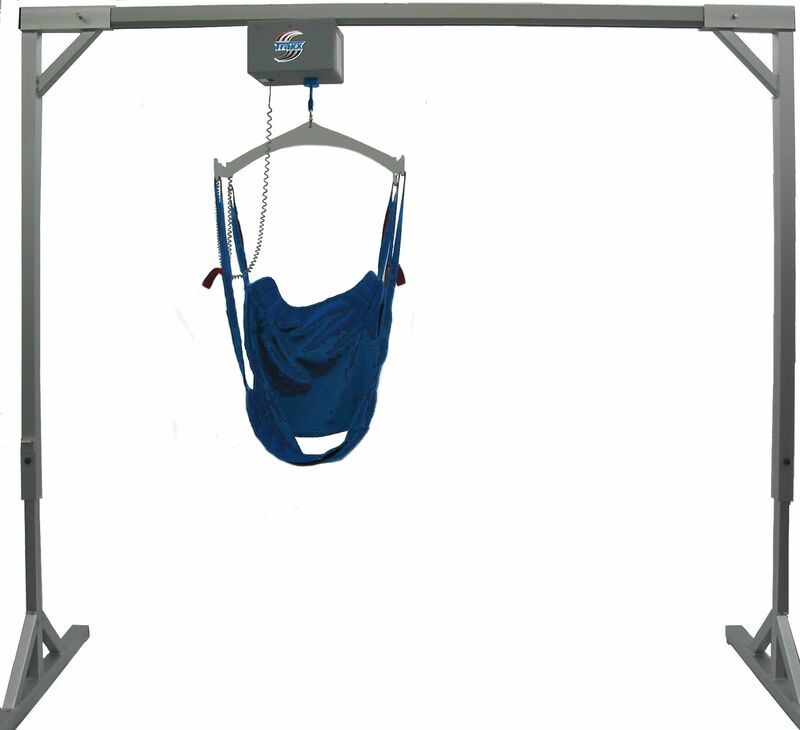 The Titan 500 Overhead Patient Lift utilizes very little space and it is freestanding, so there is no need to attach it to the home. The lift motor is battery powered and easily recharged. The high-strength aluminum frame can support up to 500 lbs and the satin anodized finish makes it easy to clean. Our system uses standard slings that are machine washable and quick drying. Simple to use with its one-finger remote, caregivers can transfer their loved ones safely and easily. The Titan 500 can reduce caregiver injury, improve the quality of life, and provide a high standard of care with comfort and dignity. Visit our website or view our YouTube channel for more information on how it works and how you can get one for your loved one.